The newest mainstream Ryzen chipset offers features Intel doesn't. It's not much of a secret anymore but AMD, on Tuesday, officially unwrapped its B450 chipset. Aimed at mainstream Ryzen customers, it might seem unexciting but actually brings a couple of premium features to low-cost motherboards. The B450 chipset is a direct replacement for the B350 chipset introduced with the first-generation Ryzen. 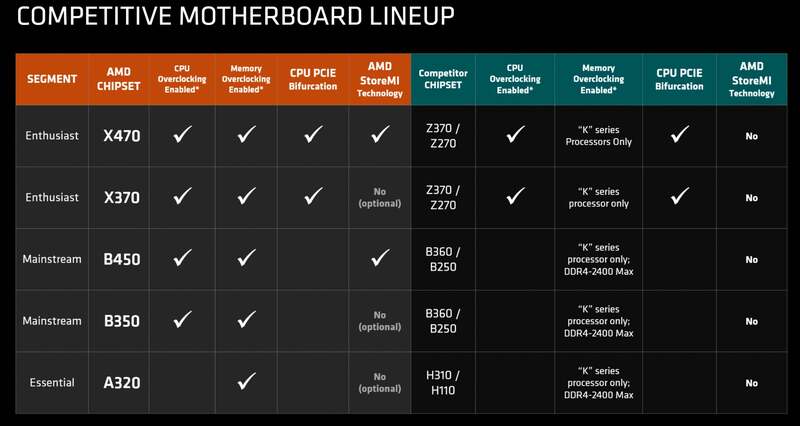 For the most part, it's a small iteration over the previous B350 chipset. 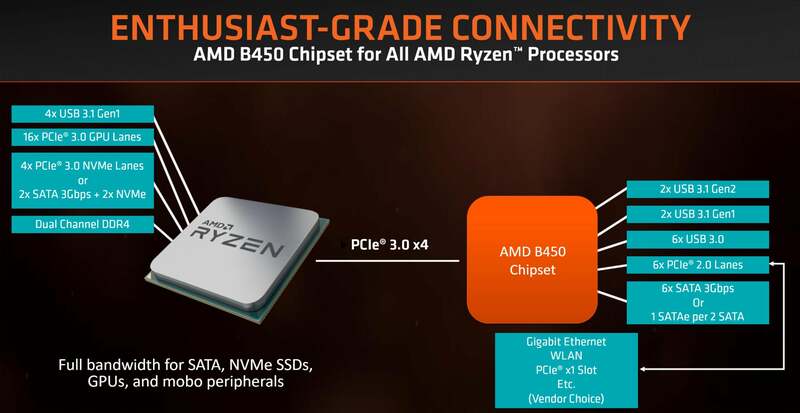 AMD's new B450 chipset is a small iteration over the previous chipset but now adds free support for SenseMI technology. Like the B350, for instance, the B450 doesn't support "CPU PCIe Bifurcation" which is a fancy way to say SLI or CrossFire. That's a feature still only on the higher-end X470 chipset. The Ryzen SoC/CPU provides its own 16 PCIe lanes for GPU support. AMD points out that if you want budget overclocking, you won't find it on Intel's platform. 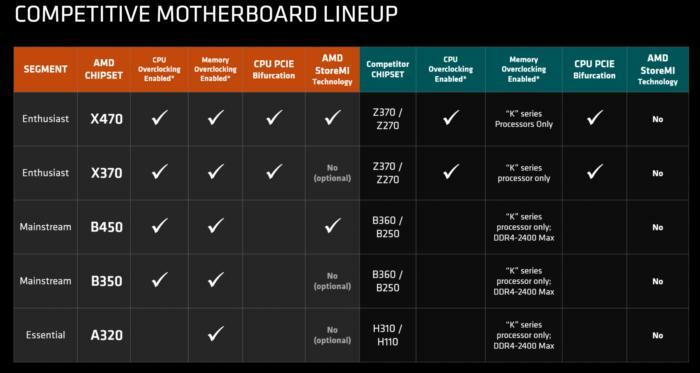 AMD also made sure to point out that the B450 chipset works with all of its Ryzen CPUs and even supports overclocking. Intel has mostly restricted overclocking to its Z370 and Z470 series chipsets, which are far pricier. AMD said it expects the B450 chipset will allow even low-end (sub-$100) motherboards to support overclocking. AMD tries to give everyone something. Even the company's lowest-end A320 chipset supports RAM overclocking. While the B450 chipset's debutante ball is officially today, you can see why it's not much of a surprise. 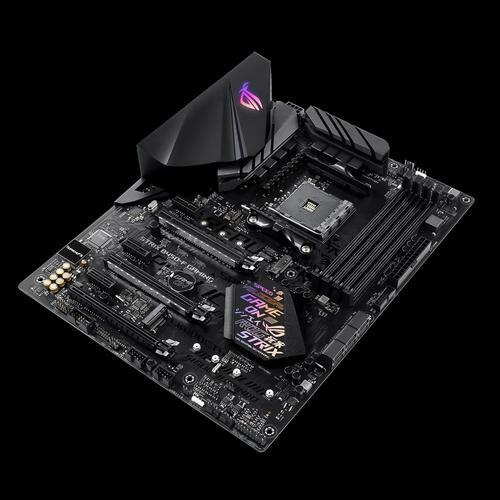 Motherboards based on the "new" chipset have already been available for purchase, such as the Asus ROG Strix B450-F GamingRemove non-product link motherboard.